WARNING: It is with a heavy heart that I formulate this article right now, however, light must be shed on the situation in it’s entirety. Ravers Choice will not show the video at this time. The suspected attacker has been identified. The original video is still up on Facebook. In the night of Saturday, January 19th, a woman was brutally raped on the dance-floor at Atlanta’s Opera night-club. 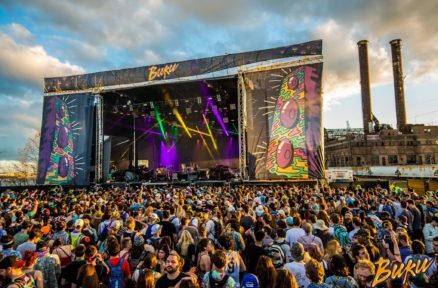 This case however is very different from others, due to the fact that the entire interaction was captured on the woman’s Facebook Live-stream feed, in the middle of the crowd, and no other patrons or venue staff came to her aide while it was happening. Jasmine Eiland was attending a club night at Atlanta’s historic club, in earlier live stream videos of the night, she can be seen mingling and enjoying herself. Shortly after, she is approached by a man with a couple girls in tow, Jasmine tells him she is there alone, he steps out of frame and returns to her with a drink, common sense leads us to believe that drink was heavily drugged. The next video she posts is extremely graphic in nature, she can be seen on the dance floor, with her breasts out, and the same man that had retrieved a drink for her is penetrating her from behind while she is screaming out “Help me, please god, someone do something” with tears streaming down her face. Jasmine made a post the next day, saying that she didn’t want to talk to anyone, but that she was okay. Upon looking at the video on her page, she was condemned by her peers, people accused her of “clout chasing” and resorted to saying “If she was at home with a man, this never would have happened”. Not only is this type of behavior beyond unacceptable, the fact that security did not intervene is a serious wake up call for anyone considering to attend this club in the near future. The question we have for Opera is “In what world does a venue have someone literally being raped on the dance-floor, and not have staff intervene and put a stop to it”. 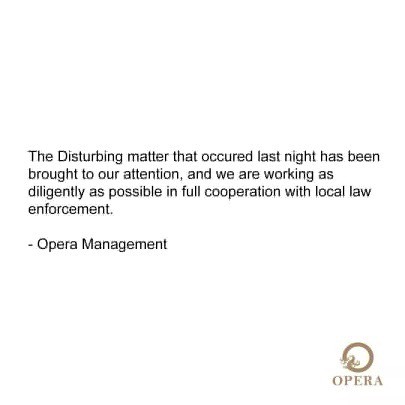 Opera has since issued a statement saying they are looking into it and police are involved. If you have any information about the suspect or people he was with, please forward it directly to the Atlanta Police Department. In the meantime, please look out for one another, be safe, especially if attending this venue, and if you see something, say something.